Shawn Michaels is arguably the greatest in-ring performer in the history of not just the WWE, but professional wrestling as a whole. He has wrestled countless match of the year calibre performances and never failed to disappoint. It has been often said that Shawn Michaels is one of those wrestlers who could carry a broomstick to a great match, and that is probably true. 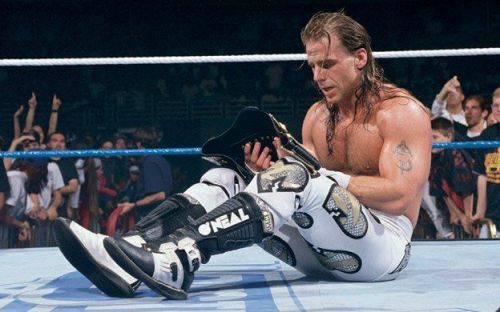 Shawn Michaels is now stepping out of retirement for the second time, and why now celebrate his next, what will be another triumphant return by looking over the top 10 best Shawn Michaels matches of the 1990's. When you think of Shawn Michaels and Bret Hart, the first thing that comes to mind is the Montreal Screwjob at Survivor Series 1997. And it is obviously what comes to mind when you think of Survivor Series and Survivor Series matches involving those two. However, this wasn't the first time the two legendary rivals met at the big annual November event. Before Shawn Michaels officially broke into the main event scene in 1995, his main event level talents were tested in big WWE Championship matches now and again in 1992, with his second ever WWE Championship opportunity coming at the Survivor Series in 1992 with Bret Hart. Shawn, who was WWE Intercontinental Champion at the time, and Bret, put on a clinic in the ring, easily outshining everything else on the card and had been one of the most entertaining WWE Championship matches in recent memory. I don't think anyone believed the young Heart Break Kid was going to come out on top that night, but the action was so good, it makes you wonder why Shawn didn't have more opportunities over the next 2 years.